Back pain is a very common condition and in the UK, it is the largest cause of work-related absence. It can be very uncomfortable, but it is not usually serious. All of our physiotherapists are experienced in this area. Back pain can affect anyone, regardless of age, but it is more common in people who are between 35 and 55. In the majority of cases, the cause of back pain can be linked to the way that the bones, muscles and ligaments of the back work together. 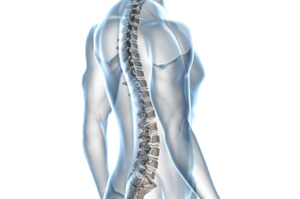 The spine is a complex interconnecting network of nerves, joints, muscles, tendons and ligaments, and all are capable of producing pain. Large nerves that originate in the spine and lead to the legs and arms can make pain radiate to the extremities. The latest research from the National Institute for Health and Clinical Excellence (NICE) recommends that individuals suffering with back pain for more than 6 weeks try a course of manual and exercise therapy to help with their condition. This treatment is available at Anston Physiotherapy Clinic, at our Doncaster, Chesterfield or Dinnington sites. Please follow the link below if you wish to read the full NICE guidelines for low back pain.